I heard about this Plaice (dried flounder) the first time from a Hong Kong friend, she told me that before MSG was invented, the Cantonese rely on natural resources to season their dishes and soup, and this Plaice powder is one of the essential ones.It is the most important ingredients in Cantonese style Wonton and Wonton soup noodle. I almost never used any MSG in my cooking, I treasure and appreciate the natural flavors of foods and its ingredients. 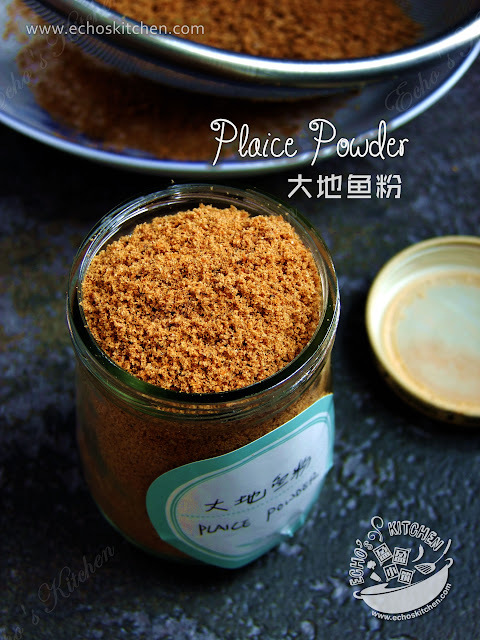 I may have no MSG at home but I have always keep a bottle of this homemade plaice powder in my pantry. I used it in all the recipes that called for MSG and it is my go to stock powder, it could turn a pot of water into tasty stock in no time. 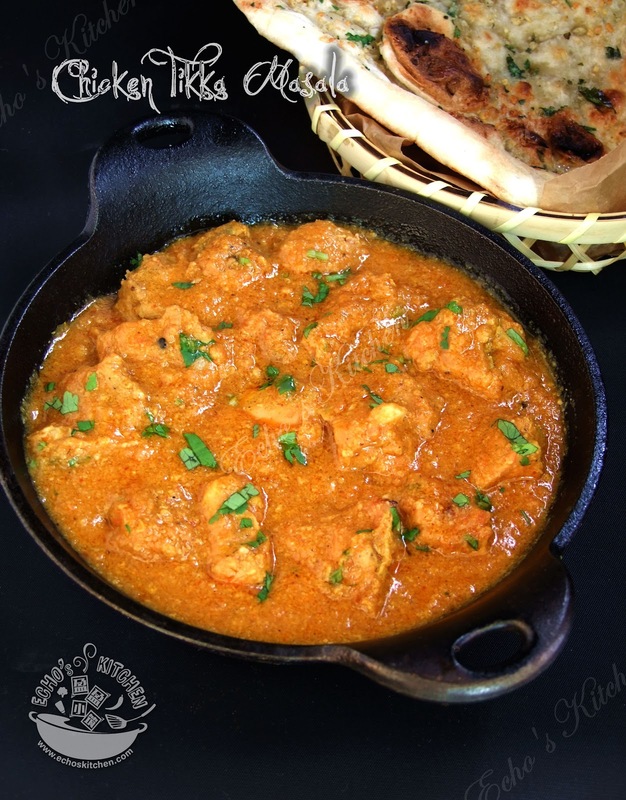 Chicken tikka is a a great starter to have for party, left over could be store in the fridge for 2-3 days and quickly turn into this yummy Chicken tikka masala, a good gravy dish to go with homemade naan! When Malaysian or Singaporean cuisines is being discussed, it is inevitable that Hainanese Chicken rice will be mentioned. Many of the Malaysian or Singaporean restaurant served steamed/Poached Chicken with Hainanese Chicken rice. 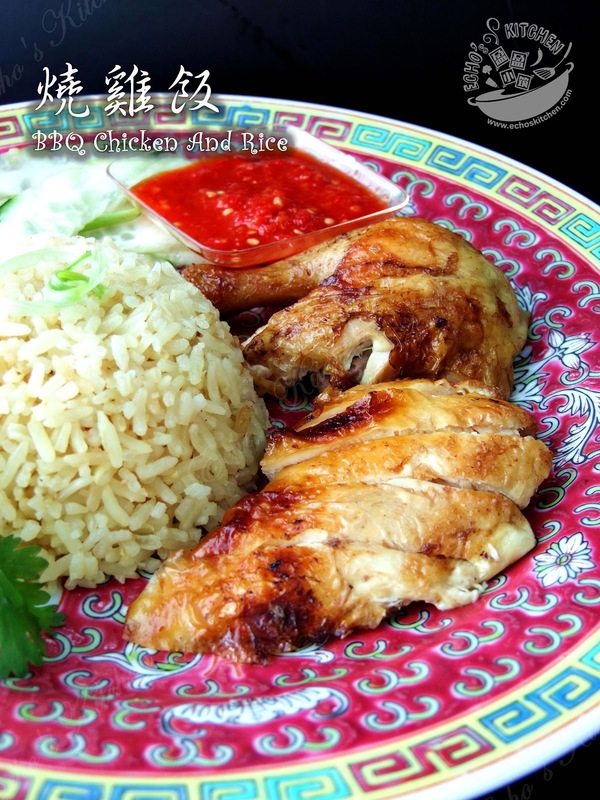 In actual fact, there are two types of Chicken available in most Chicken rice stores, BBQ Chicken and Poached Chicken. 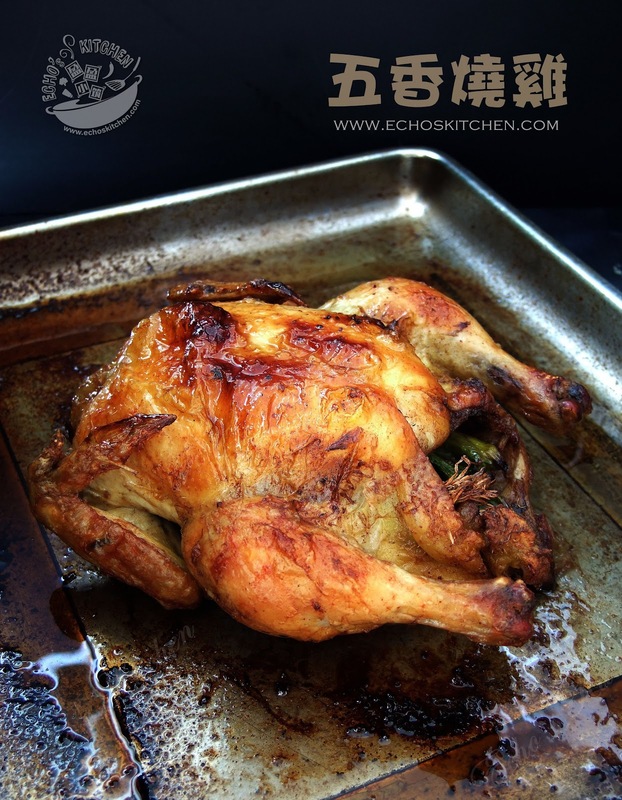 The BBQ chicken is actually chicken that is marinated with Chinese five spice and salt and deep fried in oil to give it a crispy skin and very juicy meat. Since it is hard to deep fry whole chicken at home, I made my roasted chicken the way it suggested, roasting in the oven. It turned out to be very palatable and very close to what I have missed! I made some red rice yeast wine for my confinement 4 years back and have couple of bottles of Red Rice Vinesse from the making. 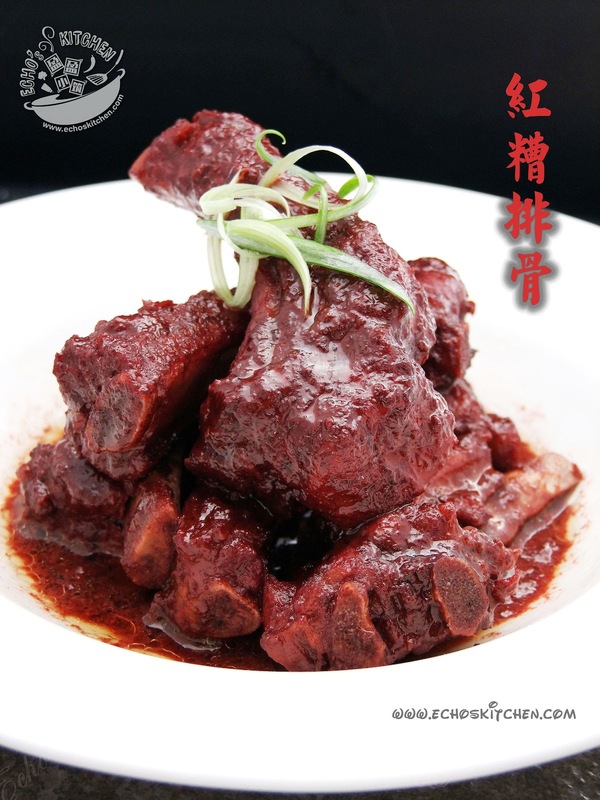 It is such a good natural coloring and seasoning, I had made several dishes using it and today I made red rice vinesse ribs for lunch, it is so delicious that it was almost not enough for me! I love Andhra Pradesh dishes mainly because it is REALLY spicy. 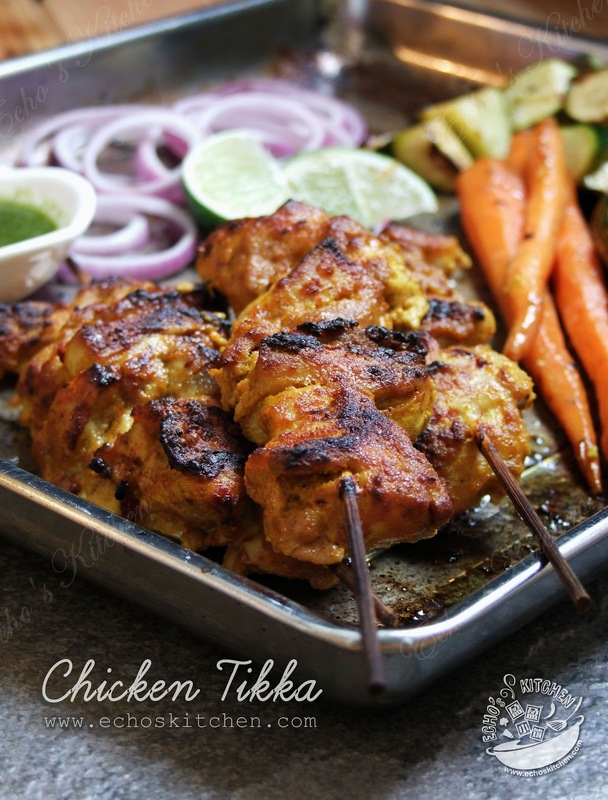 I still remember the first time I ordered Tandoori chicken in Hyderabad, it was burning hot and spicy, the spiciest tandoori chicken I ever had! But it was really good! I made this Andhra style Mutton curry a few days ago, hubby said it is the best mutton curry he ever had! My husband N was working from home over the Christmas & New Year holiday, so I had a chance to cook a lot more home cooked meals since we both preferred homecooked foods. One day he suddenly came up with this idea to have a 3 days sugar detox. So off he goes with a shopping list with all the ingredients required for the plan. All were fine until he came back with a trunk full of groceries! Mister got all the portions size wrong, the recipes called for 2 cups of butternut squash, he bought the whole butternut squash. The recipes called for 4 cups of broccoli, he bought two big heads of them, and many more other vegetables with doubled or tripled the portions needed. Needless to say, my refrigerator was completely stuffed and I can't even complain for I don't want to be blame for not being supportive when my spouse trying to be healthy (for us, he said). The guy did complete his sugar detox following the plan to the T, leaving me a fridge full of vegetables to use! After multiple vegetable stews and casseroles, I finally decided to switch gear and make something Chinese. 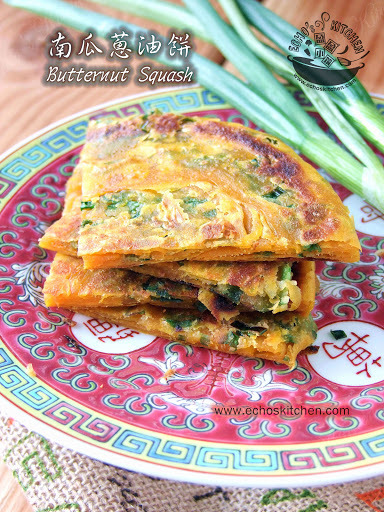 I steamed up some butternut squash and made these Butternut Squash Scallion Pancake for dinner. My son A loved it so much that he had two, doubled his ordinary portion for dinner! A friend of mine went to her Indian friend's house and had this dish, she love it so much and asked for the recipe from the host. But she failed to remember most of the ingredients and cooking process. So she shot me an email asking for help, I so happened to have a very good Vegetable Makhanwala recipe, so here I am with my very own version. Makhanwala literally means creamy in Hindi. 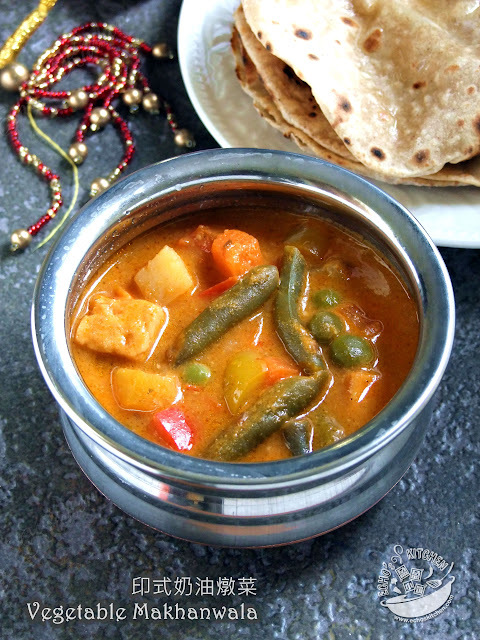 This is thus an Indian version of creamy vegetable stew, it goes really well with Naan and Roti. I made Pandan Flavor Seri Kaya couple of days ago and received multiple requests on simpler way/s to make this delicious Jam. Though I have say it in advance that Kaya made stirring on double boiler for long period of time turned out to be the best in texture and taste. You can actually make kaya the short cut way with the help of technologies. 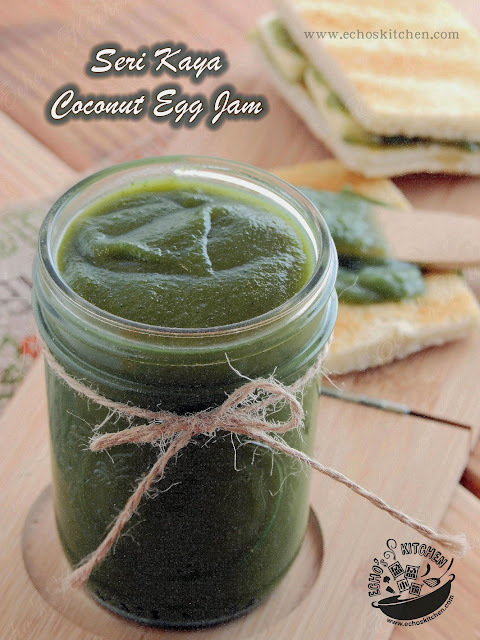 All you need is a crockpot and a good blender! Many of my Malaysian friends asked me time after time about when will I post a Nasi Lemak recipe. I keep saying I will, and is still not posting any, reason is that I am too particular about my nasi lemak, especially the sambal that goes with it. I kept trying and tweaking until I made this one, one that I truly enjoyed and will definitely make it again and again. 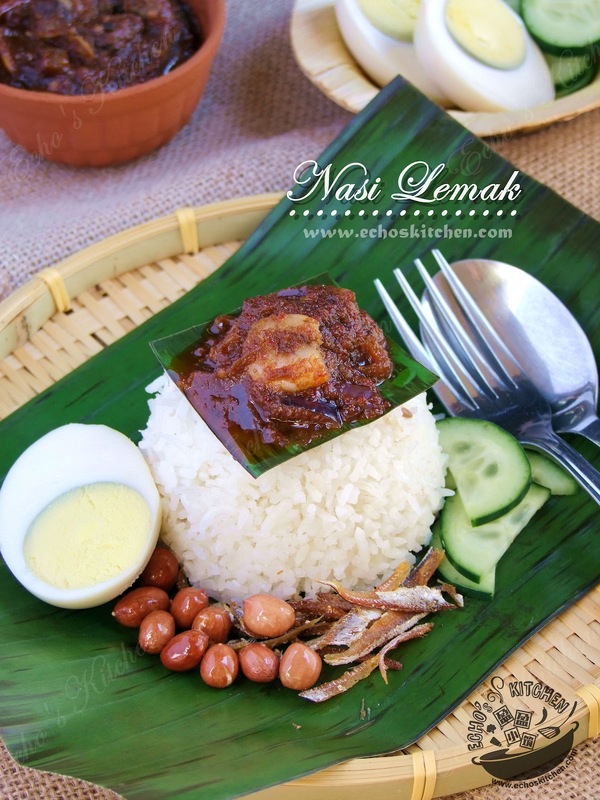 Here it comes the nasi lemak that I simply LOVE! As I grew more homesick in winter and missing the warm nice weather at my homeland, I decided its time to make something special for breakfast ! 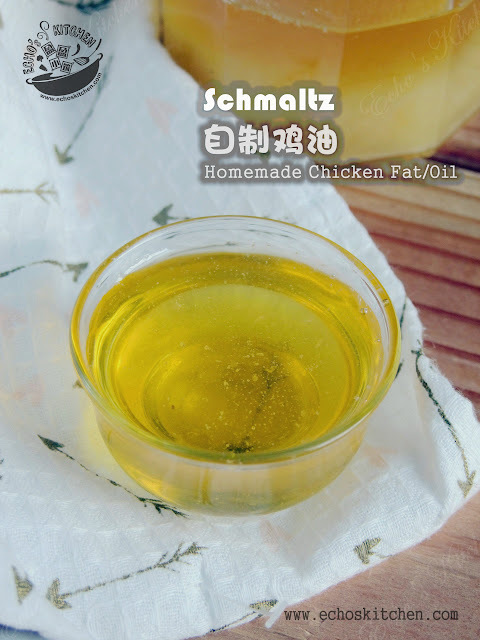 Schmaltz (also spelled schmalz or shmalz) is rendered (clarified) chicken or goose fat used for cooking or baking. 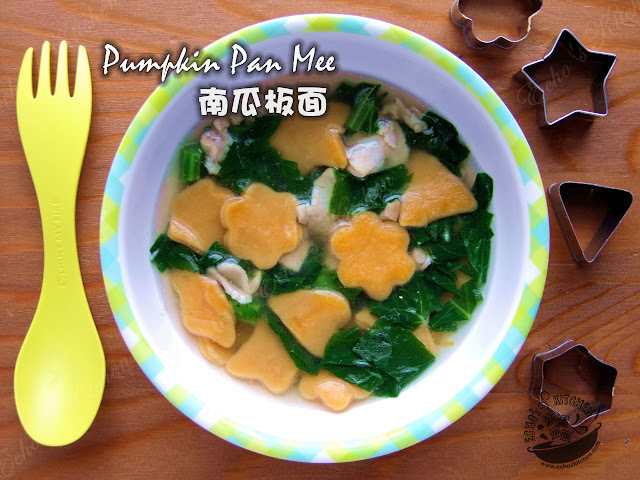 It is healthy, delicious and extremely easy to make at home. I know, I know, you must be screaming at the top of your lung now and said:"What? Healthy? Are you kidding me?" Animal fat, of course, has bad reputations for years, but then, like most of the diet myths, it is simply a myth.There are enough research showing that Fat, including saturated fat, from healthy pastured animals does not cause cardiovascular disease, high cholesterol, obesity or anything else. In short, animal fats used sparingly, are much healthier than the highly processed vegetable seeds oil. Our foreparents used animal fats for the longest time in cooking, lard makes some of the best pastries in human history and a typical Chinese noodle won't taste the same without it. I liked my noodle serves dry (Gon Loh) and egg noodles was never my first choice many a time (if I was given choices). 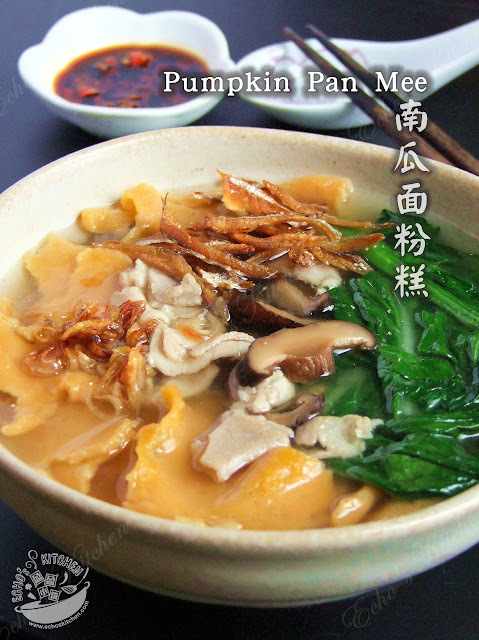 My absolute favourite is Gon Loh Loh Su Fun (a type of noodle made with tapioca and rice flour with the shape looks like rat's tail, thus the name "Loh Su Fun" which mean "Rat's noodle" in Cantonese. 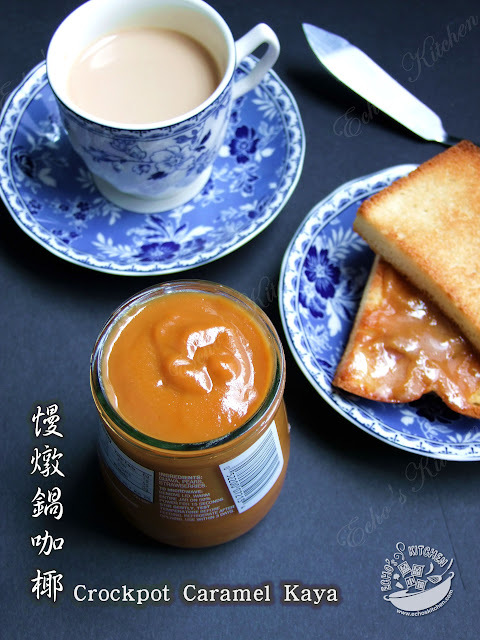 My second favourite is Lai Fun which is also made from rice and tapioca flour, only that it is longer in shape and most likely to have higher ratio of tapioca flour than Lou Su Fun does. With the sauce and minced meat in place, it is really just matter of minutes to whip up a bowl of hearty noodle! As a Chinese I grow up eating Black eye bean as dessert or snacks. 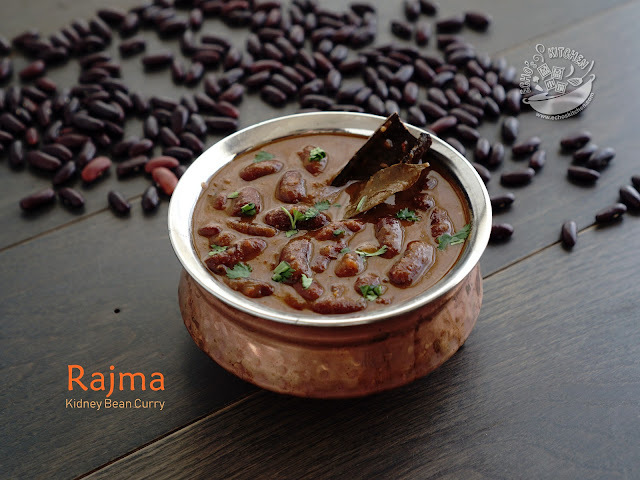 I learnt about nutrient value and different ways of preparing this beautiful little legume's when I was in India. 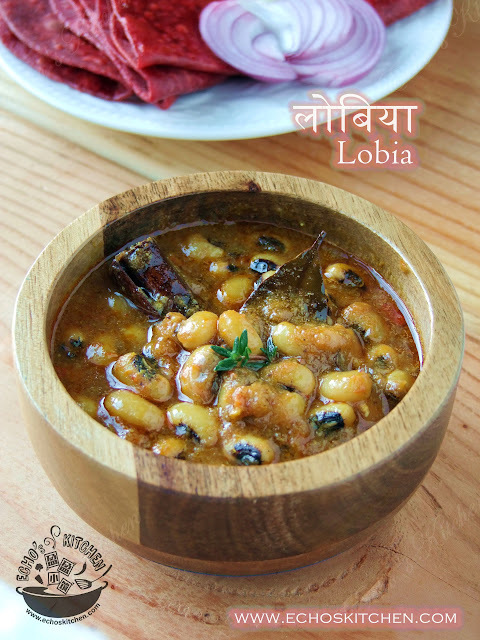 I now prepared this Spicy Curry pretty often at home, it goes well with flat bread and jeera rice. 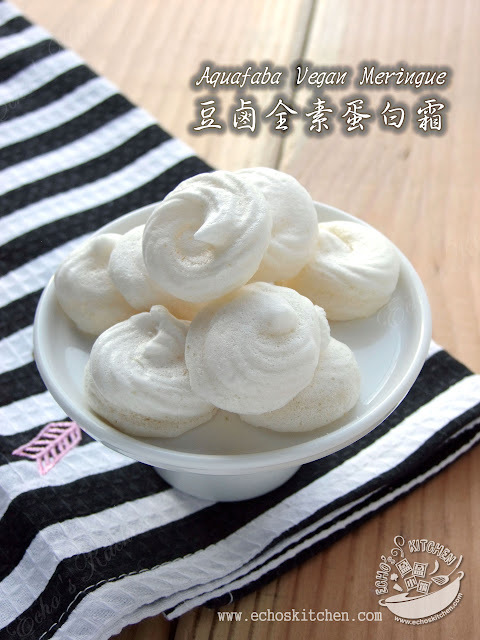 Aquafaba is admittedly the most important discovery in 2015! Aquafaba, or chickpea/Bean brine, is the liquid from cooking beans being used as an egg substitute, it could function as an emulsifier, leavening agent, and foaming agent. It was discovered by Vegan baker Goose Wohlt in February 2015 after seeing a short film by French chef Joël Roessel, where the latter showed how chickpea brine could be used in recipes much like egg whites. Goose later coined the term aquafaba ("bean liquid") to describe the liquid. His discovery opened up multiple possibilities for the Vegan world to create recipes that called for Egg white -- food that traditionally was considered a goodbye for good for whoever chooses to turned to Veganism, such as Meringue, Macarons, Meringue lemon Pie and mousse. I was elated to learn about this discovery from my vegan friend Pragnya. I also started working on it as soon as I have sometimes at hand! New year holidays it is!